Pauley Perrette is speaking out to show support for her former NCIS co-star Michael Weatherly after he was accused of sexual harassment on the set of his new series Bull. Eliza Dushku was written off the series and later received a secret settlement of $9.5 million from CBS after she filed a complaint against Weatherly. Michael released a statement in a New York Times article about the settlement in which he apologized for his actions on set. 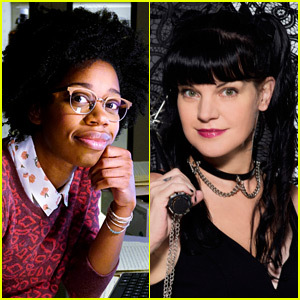 Pauley Perrette's 'NCIS' Replacement Revealed, Actress Diona Reasonover to Star in Season 16! Actress Diona Reasonover has been announced as a series regular to NCIS for season 16, as a replacement for Pauley Perrette‘s character Abby. The 26-year-old actress will play forensic scientist Kasie Hines, who debuted in a few episodes in season 15 and has now been upped to series regular. Pauley announced she was leaving the show back in October. Months later, Pauley alleged she faced “multiple physical assaults” while working on the show, and CBS responded to those claims in a statement. NCIS will return to CBS on September 25 at 8pm ET. Pauley Perrette opened up this past weekend about the “multiple physical assaults” she claimed to be the victim of on the set of NCIS. The actress, who just left the long-running CBS series after fifteen seasons, took to Twitter to address speculation over her departure from the show. “I’ve been supporting ant-bullying programs forever. But now I KNOW because it was ME! If it’s school or work, that you’re required to go to? It’s horrifying. I left. Multiple Physical Assaults. I REALLY get it now. Stay safe. Nothing is worth your safety. Tell someone,” she said. Pauley Perrette has confirmed the rumors that she’s leaving NCIS. The 48-year-old actress has starred on the series since 2003 in the role of Abby Sciuto. The show is currently airing its 15th season, and Pauley has wrote a note on her Twitter account indicating this season will be her last. “I hope everyone will love and enjoy EVERYTHING ABBY not only for the rest of this season but for everything she has given all of us for 16 years. All the love, all the laughter, all the inspiration…I love her as much as you do,” she wrote. Modern Family stars Nolan Gould and Julie Bowen get into a group pic with Jesse Tyler Ferguson and his husband Justin Mikita at the Los Angeles LGBT Center’s 47th Anniversary Gala held at Pacific Design Center on Saturday (September 24) in West Hollywood, Calif.
Jesse and Justin were honored at the event for their organizations, Tie the Knot, and Thread Experiment, which donates high-quality linens for the homeless youth who sleep on the Center’s 50 beds. 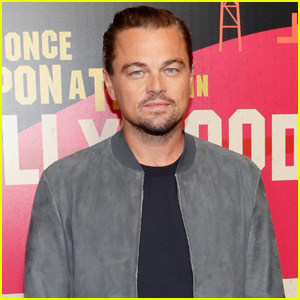 Other stars who came out to celebrate at the event include Fosters stars Hayden Byerly and Sherri Saum, Lance Bass, husband Michael Turchin and NCIS star Pauley Perrette.